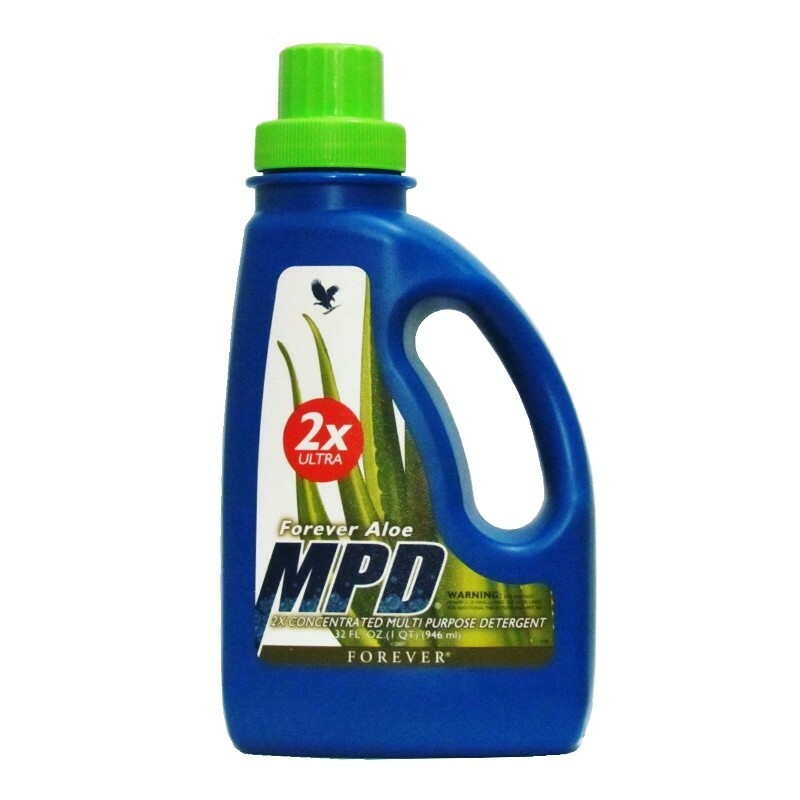 An ultra-concentrated multi-purpose detergent highly effective for lifting grime, cutting grease abd removing stains. It is safe for use on everything from cars to clothes and dishes. 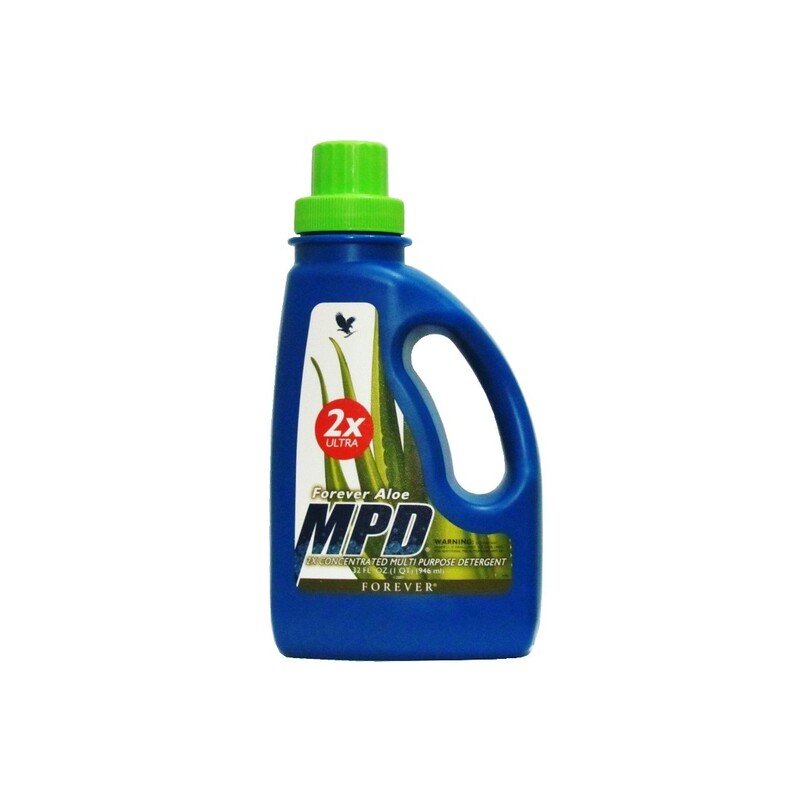 Forever MPD 2X does not contain phosphorus. Its Anionic and nonionic surfactants are biodegradable and therefore reduce environmental problems in waterways. An aqeous solution containing surface active agents (water, Ethoxylated Linear Alcohols, Benzenesulfonic Acid, C10-16-Alkyl Derivatives, Sodium Salts, Sodium Xylene Sulfonate and Sodium Sulfate), Conditioner (Aloe Barbedensis Leaf Juice), Fragrance (Parfum), Methylisothiazolinone and Colorant. LAUNDRY: For normal wash loads use 15ml. For stain removal, place a small amount directly on the spot, add water abd soak before washing. When pre-treating, rub a small amount directly onto the stain before washing. MULTIPURPOSE: Dilute using 30ml per gallon (3.78L) of water to clean Appliances, floors, bathrooms, tiles, carpet and inside and outside cars. HOUSEHOLD: Gentle on the hands, just a couple drops on a sponge or dishcloth get dishes squeaky clean, removes carpet stains. Not recommended for use in automatic dish washer. Avoid contact with the eyes, in case of contact with the eye, flush with water for atlease 10-15 minutes and see a physician. If swallowed do not induce vomiting, contact poison control centre immediately. Keep away from the reach of children.